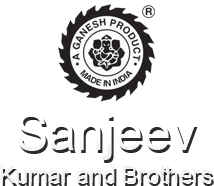 Sanjeev Kumar and Brothers affably greets you to its booming macrocosm of cutting saws. We are growing staggeringly and have carved a niche as one of the renowned Cutting Saw Manufacturers, Suppliers and Exporters from India. Our products like Wood Cutting Saw, Metal Cutting Saw, Steel Strips etc., are appreciated for their excellent quality. Our professionalism and excellence are the keys to our global success. We have fostered new technological standards that have nurtured the growth of our company. Moreover, we aspire to provide complete satisfaction to customers through our deft efforts.